50 people saved by migrant rescue ship Mare Jonio in the Mediterranean Sea told stories of violence and torture after they had arrived on Lampedusa. The ship remains in the port after being seized on the orders of the Agrigento prosecutor's office. Wrapped in thermal blankets, ambulances and other vehicles brought the migrants to a local hotspot of the security forces, where their "fates" are to be decided. One migrant told a rescue workers that he had crossed the Strait of Sicily five times, and that he had been sent back to Libya every time. He showed the marks on his body of violence he said he suffered in Libyan detention camps. "Thinking that Libya is a safe port and recognized by Italy and the EU is a hypocrisy," said Dr. Pietro Bartolo, who checked the health conditions of the rescued migrants. "We have seen how the Libyan Coast Guard treats these people when they pick them up," he stated. "Some of them leave them at sea, some shake them off as if they were ticks, and when they take them onboard, they beat them." In Bartolo's eyes, the migrants "only want to survive," and that "we must let them." The Mediterranean "must go back to being a sea of life and not a cemetery," he added. The groups of migrants, consisting of 35 men and 15 unaccompanied minors, went through identification procedures conducted by the security forces. According to Italy's interior ministry, most are from Guinea (17, including nine minors); 14, including two minors, hail from Senegal; nine are from Nigeria; seven, including two minors, from Gambia; two, including one minor, from Cameroon; and one from Benin. On arrival at the center, some knelt down and prayed. "These are good kids, polite and calm," a source at the center said. 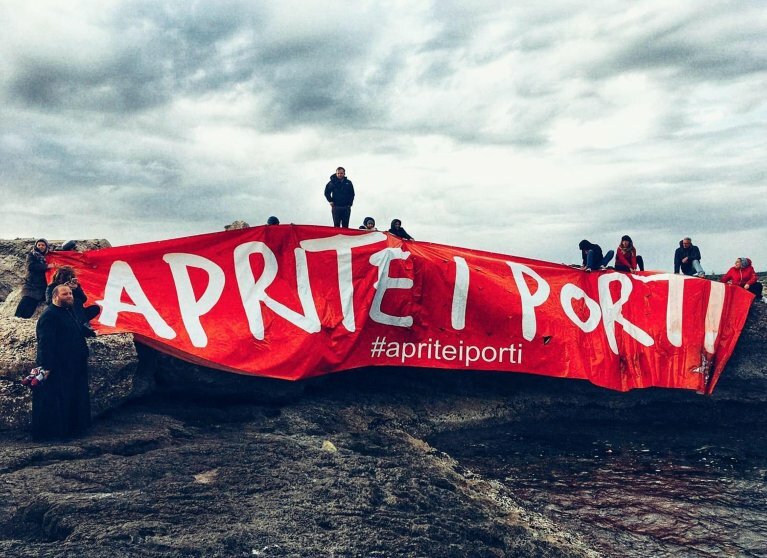 It is not known when the group will leave the Contrada Imbriacola facility on Lampedusa, especially because the conditions at sea are poor and are expected to worsen in the coming days. Investigators, who are looking into possible charges of aiding and abetting clandestine immigration, are said to be questioning the group soon.